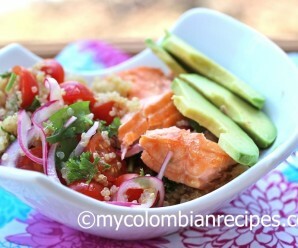 Looking for a good summer salad recipe? I love the colors and flavors in this salad! 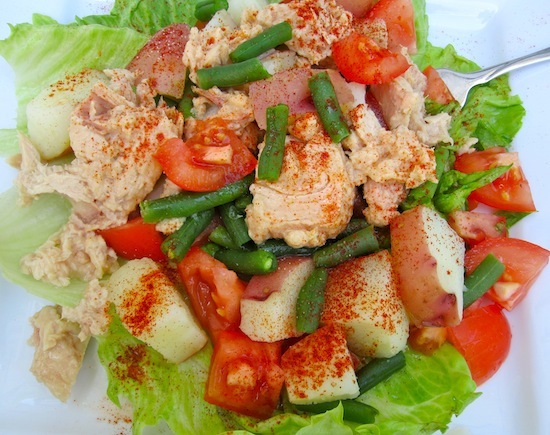 The mix of potato, tuna, green beans, onions, lettuce and tomatoes make this salad the perfect summer lunch. 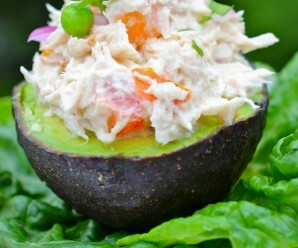 If you want a vegetarian version, just omit the tuna. 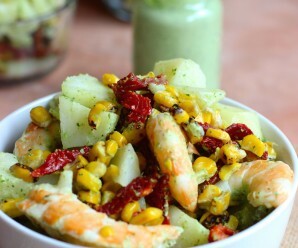 To make the dressing: whisk together the olive oil, lemon juice, zest, garlic, cumin, paprika, salt and pepper until blended. In a large bowl, toss lettuce with 1/2 of the dressing. Spoon the remaining dressing over the green beans, potatoes and tuna. Gently coat the ingredients evenly with the dressing. Arrange the lettuce on a large platter. Top with the green beans, potatoes and tuna, and sprinkle with paprika. Serve at room temperature. Oh this looks so fresh and I love the dressing you made! Great simple recipe. It’s going in my repetoire. Thanks! This is definitely the kind of lunch I want to be having! Healthy and delicious. Beats adding that mayo. Great looking salad. I’m giving this a try. I love the tuna and potato combo, sounds great. you’re kinda blending three staple summer salads together–tater, green bean, and tuna salad are all on my menu quite often! lovely work. I really love the colors of your recipies. They are an invitation! Great job Erica. Love all the combination of the meals. Thanks so much for bringing us our Colombian food traditions. Hope you continue with this conection. Sounds a bit like a salade niçoise; love it! Me encanta Erica, soy una fan de las ensaladas todo el año, bien podría pasar absolutamente con ellas. 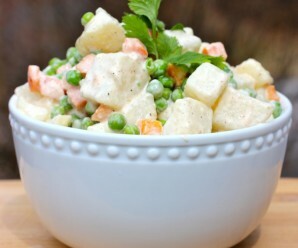 What a great new way to make potato salad! The paprika adds such lovely color! Definitely a perfect summer lunch, like the addition of paprika. Wow, I wish I had had the chance to check out this recipe last week, i had a big batch of green beans, I wanted to add to a recipe that was new to me. this one would have been perfect.